At what age did you start boxing? - I began boxing at the age of 13. 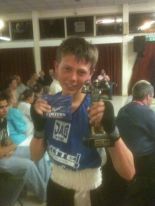 After following professional boxing for a couple of years I decided that I would give it a go. What is the best moment you've had in boxing? - The best moment ever in boxing is winning bouts! It just shows how much hard work can pay off. Who are you favourite professional boxers? - My favourite professional boxers are Amir Khan, Miguel Cotto and Mike Tyson. If you didn't box where do you think you'd be now? - I think I would have still been a fat boy! Boxing has kept me in great shape and I'm glad I started it and now I'm motivated to go to the top of the sport. 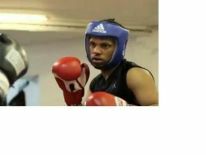 - My aims are to continue winning bouts in 2011 and hopefully I enter the nationals in 2012 and do well in them.